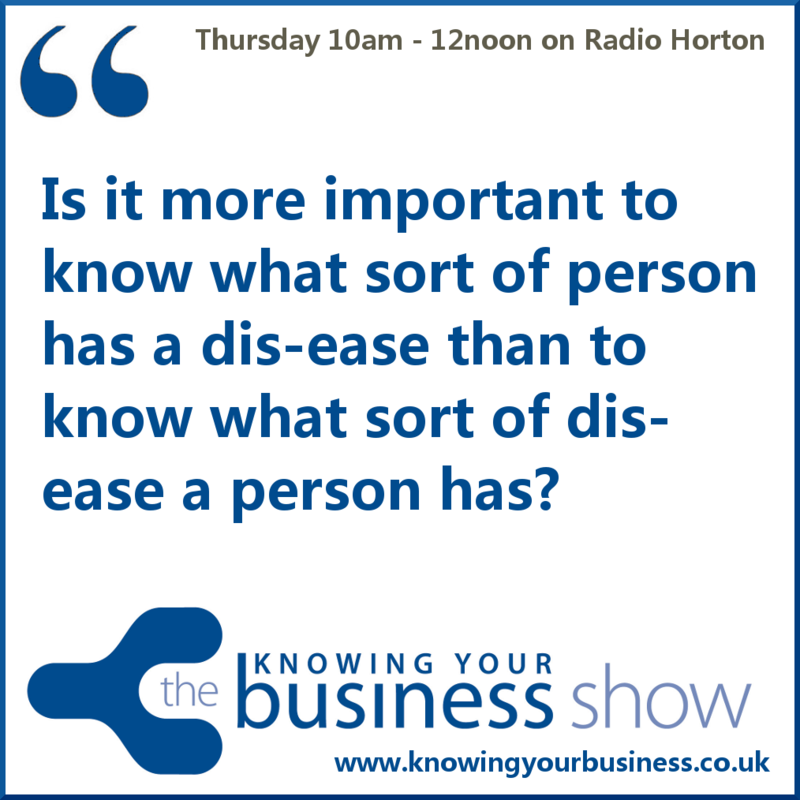 On this Knowing Your Business Radio show we discuss the many different complementary health and wellness businesses. Well three of them anyway. A fascinating collection of conversations unfolded. The podcasts are further down the page. Complementary health approaches are medical and health care systems, practices, and products that originated outside of mainstream medicine. They include techniques performed by a practitioner (such as acupuncture, spinal manipulation, and massage therapy) and natural products (such as herbs, probiotics, and fish oil) to name a few. We’ll learn what’s out there on this show by talking to the following complementary health practitioners. Asking the questions is guest presenter Sarah Sienkiewicz..Life Coach and Oracle Card Reader. All the radio interview podcasts are available for 7 days further down this page. Started her first business at the age of 16, always been commercially minded and open to opportunity But it was nothing to do with what Kelly is doing now in her current business. True You is a specialist team committed to helping others flourish in business, love and life. They provide life coaching, holistic health coaching, business & NLP coaching in order for businesses & individuals to discover their purpose and highest potential. Kelly’s background is very academic, straight A-student as she always wanted to excel and be the best at what she was doing, whatever that was. Whether it be in the class room, sports teams or in the office. Kelly followed that natural academia progression to University and after, graduated as a surveyor working in Real Estate. However, it soon dawned on her that she was not of the employee mindset and craved something more. Jumping forward a few years this inspired Kelly to become a yoga teacher, nutritionist and NLP practitioner so SHE could help others. Kelly is and always have been fascinated by the mind & body, its incredible capabilities but also the limiting belief we put on ourselves. Kelly is a huge advocate of a holistic approach to health. This is the true essence of True You. Giving people the tools to have a healthy body and vibrant mind so they can truly figure out their own passion and purpose to live a healthy happy life. Especially in an era of information most people are overwhelmed with choice, ‘following’ others on social media and forgetting how to really engage with their own true self and identity. Kelly is also excited to announce her wellness retreats in Ibiza from April 2015 through to October, her first ever book will be released in May 2015 and also a guest speaker at the Mumpreneur and Female Association conference in Birmingham on July 3rd. To develop a positive process, tailor-made to suit the agenda and the specific needs of each individual client or organisation. Jaina was practicing yoga for health reasons and she really enjoyed the practice. Jaina was then asked to join a teacher training programme and initially did the course to simply learn more rather than to actively go out and teach. However during the course she learnt so much that it only felt right to teach and share what she has learnt and continue to learn with others. Jaina in the process of organising a charity event for International Yoga Day on Sunday 21st June. Life is challenging for everyone and Jaina feels that through her challenges yoga has been her friend and companion. It’s a place that she has unconsciously sought to find comfort and joy in. A nd it has naturally grown and expanded in her life. It also provides Jaina with a sense of ease knowing that whatever life presents her with she has the guidance of yoga to help her. Tanya has a passion for empowering people: During her career span she has worked within challenging environments with people who had a myriad of different challenges themselves. This included their own behaviours and emotional responses as well challenges to accessing society from their current standpoint. The last organisation Tanya was with, the Prison Service, where she served for 13 years was fascinating, but latterly she found that my core values didn’t match the day job that she was expected to do. So, although Tanya still has huge admiration with what the Service is trying to do – i.e. help folk leave, and not reoffend when released – but also keeping the public safe, meantime.- Tanya decided to leave and build a business where she could help and empower people in a way which met my own values. Tanya was introduced to Neuro Linguistic Programming in 2008 and sponsored by a forward thinking Governor of hers at the time to train in it. To cut a much longer story short, Tanya has further developed in that, but also other modalities, including Spectrum TherapyTM and Spectrum Emotional CoachingTM – which are the primary tools which she uses now. Spectrum Therapy was designed by Michael Stott, who served for 20 of his 25 years in the Army in the elite Army Physical Training Corps. He developed Spectrum Therapy to treat soldiers with post traumatic stress disorder in a gentle non-traumatising way. He has been using it since 2006, and is aiming to get it NICE accredited within a couple of years. Tanya works with all kinds of people – anybody who has unwanted emotional responses or unwanted behaviours. Because of the way Spectrum works, it gets to the root of the problem and can really deal with those problems at a very deep level – with results that last. She can help folk with things like depression, anxiety, low confidence, addiction, anger management, suicidal thoughts, self harm, post traumatic stress disorder…….this is certainly not an exhaustive list!! – but can also help folk improve business and sports performance. This show online presence is being supported by partner The Clearwater Coach. Free self coaching tools, inspiration, one to one coaching and oracle card reading. Do you want a free report: 13 ways to move *from Chaos to Clarity*? Simply enter your details in the sign up box to your right of the website to receive your free report today, within the hour. I will also send you a monthly newsletter packed full of great self-coaching tools and resources. 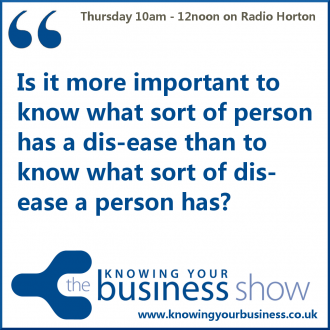 This week the Knowing Your Business show has been presented by Ian Gentles and guest presenter Sarah Sienkiewicz. Loves working with entreprenurs to help them move from chaos to clarity. Sarah is building a community of like-minded health and wellbeing professionals for business support, tips and referrals.